We had a Firday night off! And totally luxury nowadays is not tikidrinks at the dance floor but the joy of having gotten some jobs done, and not having to do anything in particular for one night. Went out to the countryside and lit all cadres and lights in the early autumn night. Rolled my hair for next day (you just can't have that many days or nights off in a row...). I have found that these - the Rockin' Rollers - are the best ones for me to use when rolling my hair the night before. They are soft and easy to sleep on. 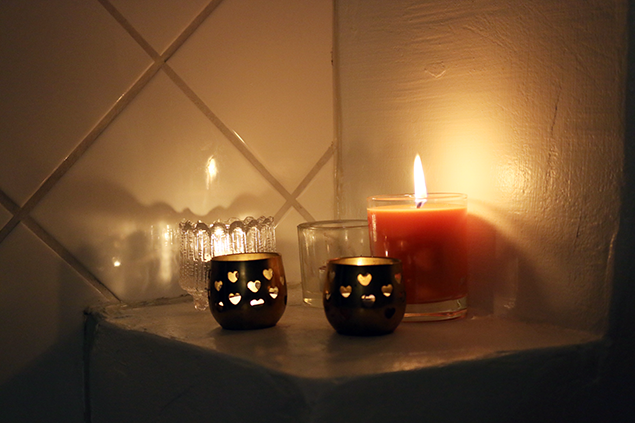 Spa'd it up with some candles int he bathroom. 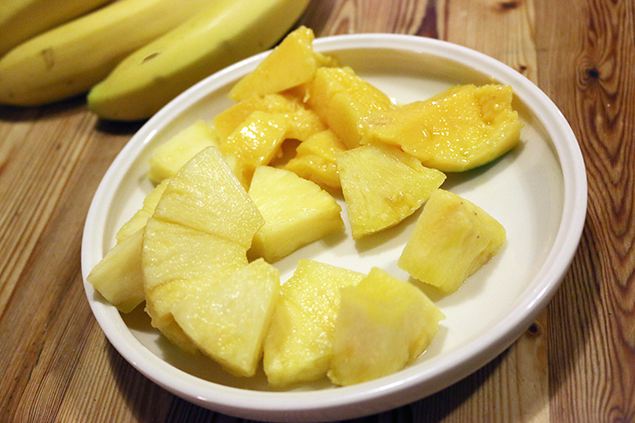 Made a fruit salad. (I had some chocolate too but that was eaten already by the time of this picture). 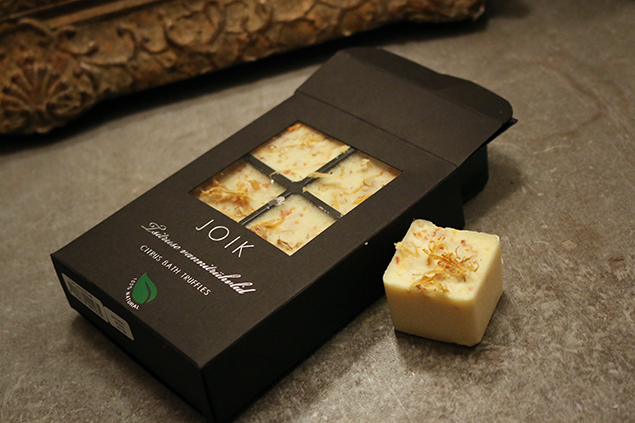 And got to try out these bath truffles I got from Estonian natural cosmetics brand Joik. The good thing with oils and cocoa butter in your bath is you don't get dry afterwards at all. But you kind of wish you could eat these, right? They look so yummy! nd then finally time for a bath! I'm happy to have a tub but turns out it's the boys and all their toys that are using this more than I am! 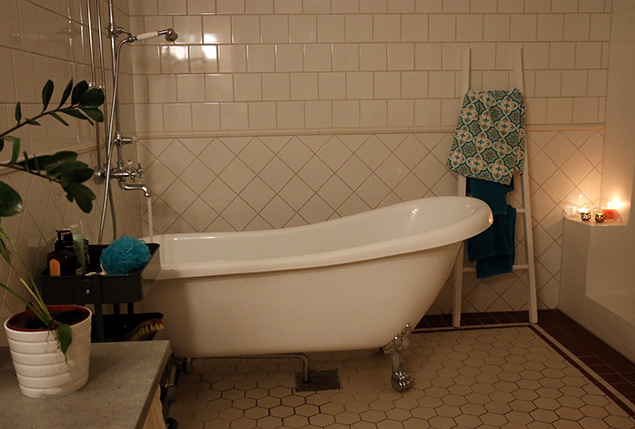 But tonight I had it all for myself, no Dag and rubber duckies (and toddler piss) in it. Friday night bliss. 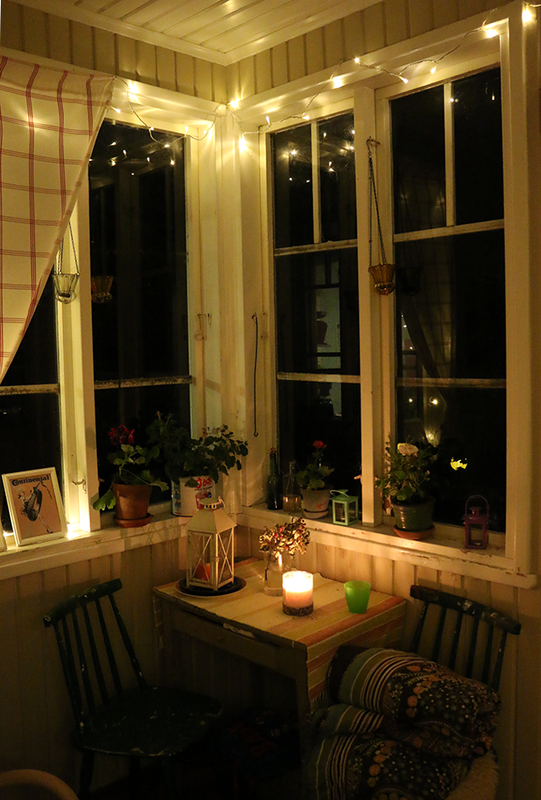 I love how cozy your farmhouse looks. Hoorray for quiet Friday nights! I see you have plants in your bathroom. What kind of plants do you recommend? Ha! Damn toddler pee!! If Dag is anything like my son you spend the entire bath time asking him not to drink the water as well!